Born Melbourne, Australia, the son of Ayrshire architectural sculptor John Simpson Mackennal. He trained with his father and at Melbourne's National Gallery School, then at London's RA Schools from 1883, and in Paris. MacKennal worked on sculpture for Government House, Melbourne, from 1887, but returned to London in 1893. He worked on the New Government Buildings, Westminster (1902) and produced the Boer War Memorial, Islington (1905); St. Paul's Cross, St. Paul's Cathedral (1910); the statues of Thomas Gainsborough at Sudbury, Suffolk; and Viscount Curzon, Carlton Gardens, London (1931). 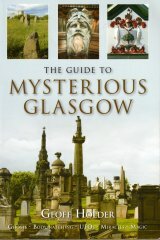 For Glasgow, he produced a bronze portrait relief for the Walter Macfarlane Monument, Necropolis (1896). He received his knighthood in 1921 after executing several commissions for monuments to Royalty, including the King Edward VII and Queen Alexandra Monument, St. George's Chapel, Windsor; an equestrian King Edward VII, Waterloo Place, London (1921) and the design for the King George V Carriage. He exhibited at RSA 1902-25. Elected ARA 1909, RA 1922.